One order comes 50 packages of 100 count cotton. Non-woven spunlace side for exfoliating skin. Thicker & softer than ever! Gives skin the gentle, natural care it deserves. Improved and Embossed with 100% higher quality cotton. Embossed cotton pads are stronger and is able to soak more liquid material. 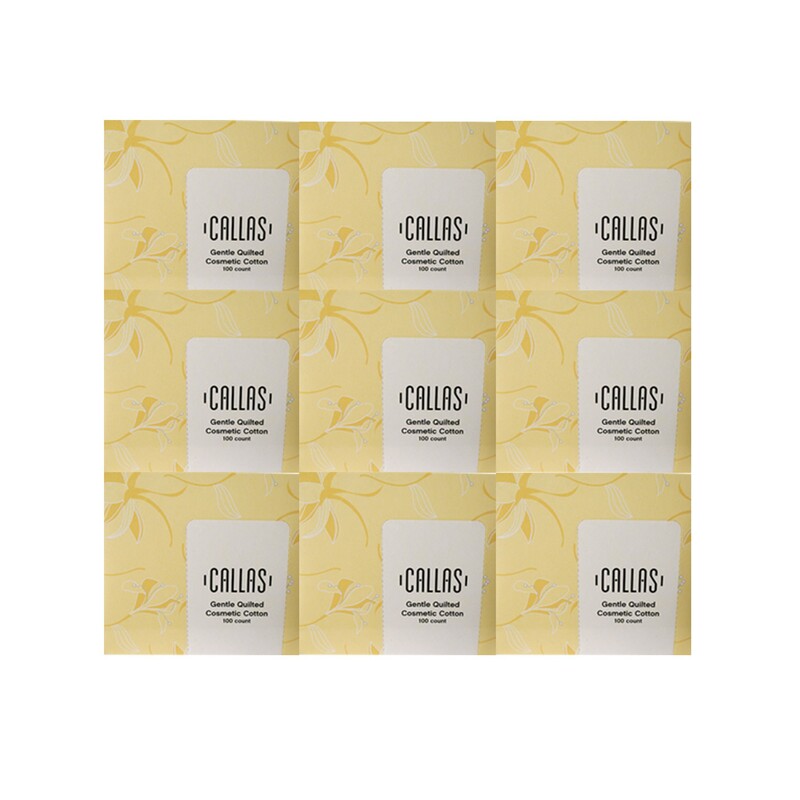 Callas Pure Cotton Products Give your skin the gentle, natural care it deserves. The premium pig hair provides great elasticity for grooming around the eyelashes. Using the CALLAS D..